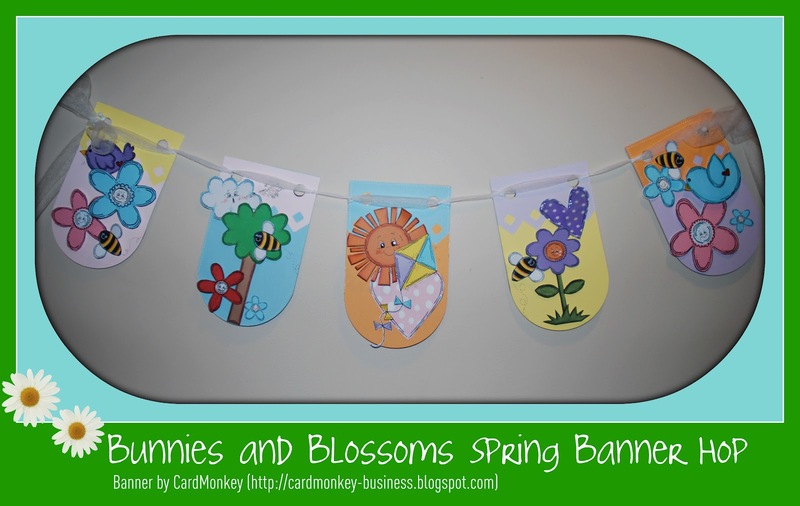 More than 30 fantastic papercrafters have come together to create Spring-themed banners to bring smiles to the faces of the children at Pediatric Specialty Care (PSC) in Bucks County, PA, where I work as Admissions Coordinator. 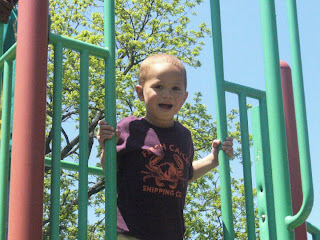 Meet Brandon, one of the sweet children recently admitted to PSC. (Brandon's story is told here, with his mother Linda's permission.) 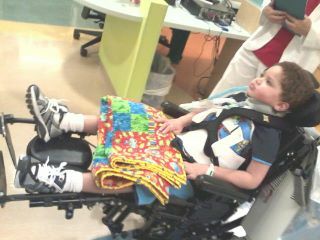 He relies on a ventilator to breathe due to head injuries, and is paralyzed from traumatic spinal cord injuries. This was the horrible car accident that Brandon survived thanks to the heroism of the men and women of Station 34 Fire and Rescue of Ridgeway New Jersey. Brandon's heroes escorted him to PSC, in a salute to their "Li'l Man" they've come to love for the child's will to live. 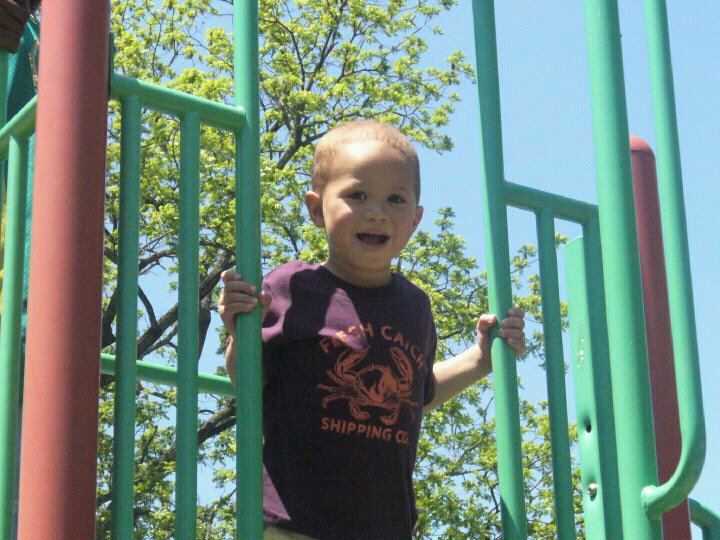 Before this accident, Brandon was an active, fun-loving and playful little guy, just shy of his fifth birthday. The tragedy of the car crash causes Brandon's family to find a "new normal." It's kids like Brandon, and the dozens more like him, that made me want to provide banners to decorate their rooms for various holidays. My "family" of blog friends -- wonderful women, all -- have graciously crafted right along side me, in meeting the needs of all of these very special children. 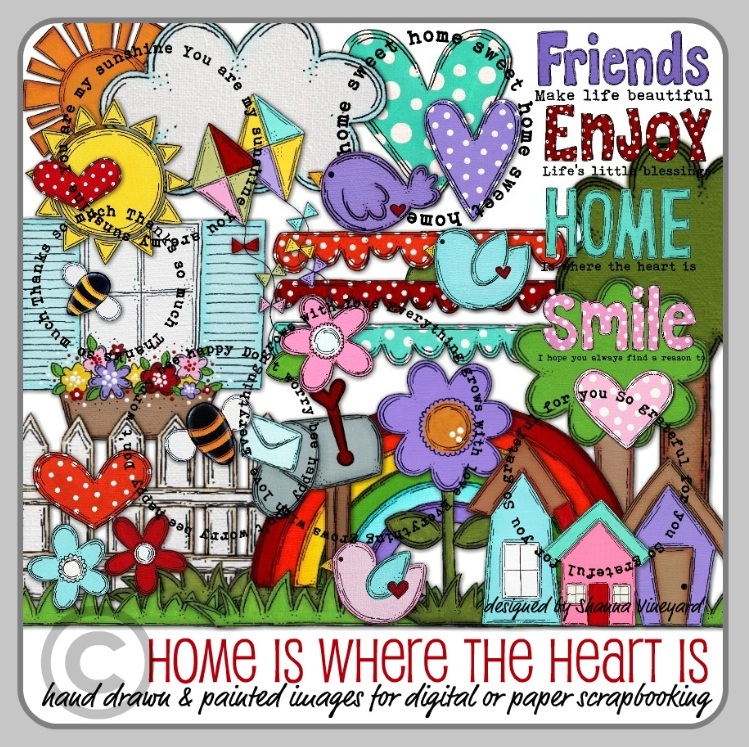 I used this fabulous digi-kit that I purchased to create the artwork for my banner. It is by Shanna at "Art Made With Heart." 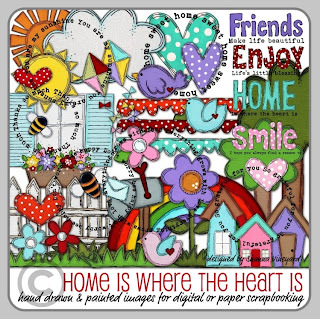 Here is what all of the pieces (combined) look like ... you can pick and choose which pieces you size, print and fussy cut. To make the banner, I cut the pendants at 9.75" using Banner #3 of the Cricut Art Philosophy cartridge, and also cut the topper at the same size/same cartridge. The illustrations are from "Art from the Heart" digital collection (see above), sized, printed (computer-generated) and fussy-cut. I pop-dotted them at various heights to give dimension. I used Peachy Keen Stamps for faces on the flowers, cloud and sun, with a splash of Copic marker for the rosy cheeks. I added googly eyes to the bees with some white Gelly pen for their smiles. I also added some Glossy Accents on the heart, birds and sun, and used the pen (Gelly white, and Sharpie black) for decorative lines and faux stitching; Martha Stewart fine glitter is the cloud's "wind." The pennants were first cut from cereal boxes, and topped with Bazzill pastel papers, using ATG adhesives. 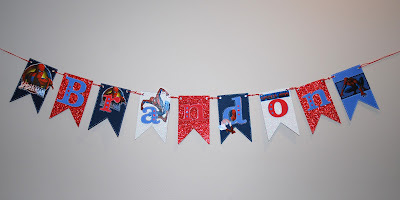 The pennants were tied together using tulle. ﻿Again, MANY THANKS to the women who made banners so lovingly for the children at Pediatric Specialty Care. Please also visit yesterday's banner posts from the following crafters, and leave them some love and thanks. You'll love their banners too! We're so glad we got to participate in this blog, Thanks for everything Ellen & all that you do!! It is so wonderful that you do this special blog hop annually!!! :) What a difference you make in the lives of these children! And I am impressed with your sewing skills! That Cricut cover is BEAUTIFUL!!!!! 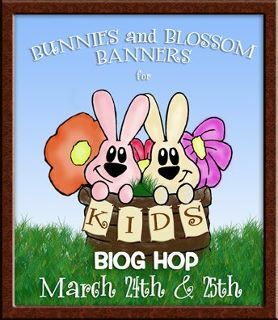 Thank you so much for sponsoring this fun hop (love seeing all the cute banners!)! Beautiful idea for this hop. Touches my heart. I know the kids will love all the banners. 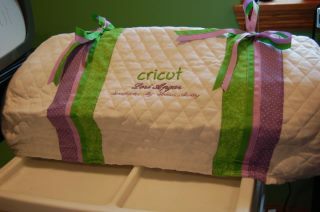 Your Cricut Cozy cover is adorable. Green and rose would be my colors. Wow! Another gorgeous banner! The kids and parents are going to love these. Red white and blue lovely. As i live in uk. We got royal clebrations may pinch your idea. hug. 2nd one very bright banner great to catch attention. This is so very sweet! I know the kids and families will adore it. another amazing banner Ellen! These children are so lucky to have you and all that you do for them! I am so honored to be a part of this hop! Oh my Ellen another super adorable banner I love those images The kids are going to have lots to smile about!!! Thanks for the resource I truly enjoy being part of your hops! Thanks for including me! Lovely banner. May God bless you and what you do. Im sure the staff and children love these banners. If I win I like pink and brown. Another fabulous banner! Gonna have to check out the digi kit....you enabler...haha. This is the most awsome blog hop that I have ever done. I can just see the smile on these childrens faces when they recieve their banners. Your banner is just adorable. I was already here but forgot to tell you my colors. I'd like cream background and then what ever colors you chose will be great for me. I love surprises. The Spiderman Banner you made for Brandon is so neat, what a courageous little boy. I am so thankful to have the opportunity to be in this hop with such wonderful women. 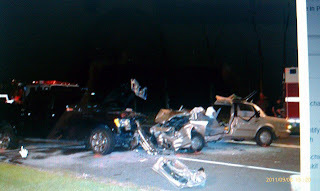 Wow that car accident was horrible!!! So glad Brandon is a fighter!!! This banner is so cute!!! I love the images you used and how you embellished them!!! So honored to be part of this hop!!! What a great blog hop! These are wonderful works of art for a wonderful cause. Your cozies are super cute, too! If I won one, I'd like robin's egg blue and red, with "Kitty's Bug" as the saying. I'm loving Brandon's banner! I know he loves it. Love this second banner, great light and springy feel. Thank you for hosting this blog hop Ellen, you are doing such lovely work for these Children and I am pleased to help out with banners when I can. I just loved all of the banners. I don't have a cricket yet, but have it on my wish list (positive thoughts! )so if my name is chosen my colours would be duck egg blue, brown or silver. Thank you again and God bless you. Such cute banners! LOVE THEM. Thank you for letting me be a part of this special hop! Great images on this banner! I am a follower and would pick a medium blue and green and Sue's Cricut as text. TAG, you're it! If you want to play blog tag, come on over! Hugs, my friend, I owe you an email! Adorable banner and such a great cause! Thanks for hosting the hop! Hey Ellen, this is my 2nd comment so don't count it but I just wanted to say after re-reading this post that I also adore your fabulous Spring banner! I see that sweet Brandon already recieved the fantastic Spiderman banner you made him and I'm sure it continues to brighten his days :) You're just so kind! **My banner was sent off to you today yay! ** If you don't get it by Sat., maybe you can keep it for yourself as a small reward for all your wonderful work in organizing the banner hops and making sure the kids and families recieve all these great creations! It takes a villiage, but you bring it all to fruition and I thank you for it! :) Hugs sweet friend and have a wonderful day!